Manchester United’s performance against Juventus has attracted stinging criticism and very worrying observations indeed made by pundit Charlie Nicholas. 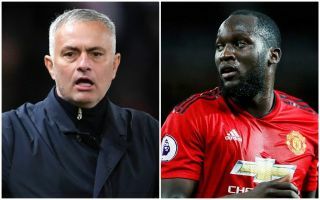 Analysing the Red Devils’ 1-0 defeat at home to Juve in the Champions League this week, Nicholas singled out United striker Romelu Lukaku for a woeful performance and raised serious questions about his fitness. Lukaku is currently on a lengthy scoring drought and has not looked at all convincing in his second season at Old Trafford despite getting off to a strong start last term following his big-money move from Everton. Nicholas also told Jose Mourinho his side are further behind Juventus than he thinks, with United thoroughly outplayed and lacking any kind of plan as they lost 1-0 at Old Trafford. While few would have expected United to have an easy time against Massimiliano Allegri’s side, the manner of the loss certainly does look a big concern as they were barely in the game in front of an angry home crowd. Nicholas summed it all up with his scathing analysis on Sky Sports, quoted by the Metro: “I couldn’t believe what I was watching [against Juventus]. It was an attack-minded team at Chelsea and he stuck with the same team against Juventus so I thought, ‘Manchester United are going to have a go again’. “But Lukaku looks as if he can’t move – he looks as if he doesn’t know where he’s running to, he doesn’t know when the service is coming – and I just thought they were so timid about everything they did. “Juventus couldn’t believe the space they were getting – it was all so comfortable. It was probably the angriest I’ve seen some Manchester United fans for a while in that last 20 minutes. “Jose came out afterwards and talked about what they needed to catch Juventus, Man City, Barcelona… but I thought, ‘You’re further away than you think’.